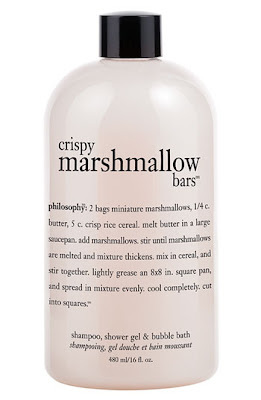 It seems unheard of that a line of beauty products would actually make one's mouth water but then again no one said philosophy's bath and body products weren't unique. I can never decide which hunger-inducing concoction I want because I want them all. 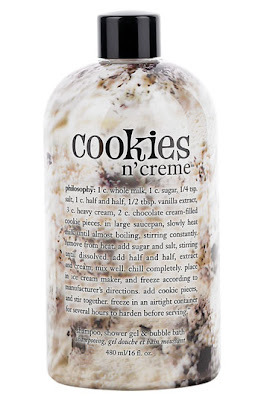 Between their decadent pink frosted layer cake and their delicious crème brulee 3-in-1 shampoo, shower gel and bubble bath bottles, I'm surprised more people don't eat this stuff straight from the bottle. The latest calorie-free bath desserts from philosophy are equally delectable: Crispy Marshmallow Bars and Cookies n' Cream ($16, Nordstroms). The aromas take me back to two fond and frequent memories from childhood: the warm oozing smell of melting marshmallows from a freshly baked batch of Rice Crispy Treats and the satiating aroma of ice cream and air conditioning in a Ben and Jerry's on a warm summer night. My overly persistent sweet tooth was going berserk while using the mixture of both washes in the shower this morning. I felt like I had eaten my weight in dessert by the time I toweled off and for the first time I actually hadn't! They do have the recipes for these fan favorite treats on the label of the bottles, so you can be sure a fresh batch of bars will pop up in my oven sooner or later. On top of their intoxicating fragrances, the lather in these solutions are fantastic. I hate when you have to use a ton of gel to wash your whole body and have to replenish the bottle frequently. For these cleansing formulas you really only need a few squeezes to cover your whole body. The gels are non-irritating and make your skin feel soft and supple after use too! I literally had a smile on my face while using the wash this morning, (not too many soaps have caused me to do that) so I'm pretty sold on these two gems. Since I'm not a morning person, actually getting excited about showering and starting my day is a refreshing change and I certainly have them to thank. Buy your favorite philosophy set or a collection of yummy dessert gels between now and September 26 on philosophy.com and you'll be eligible to receive a free gift of fan favorites (Amazing Grace Shampoo, Bath and Shower Gel, Hope In A Tube Eye and Lip Firming Cream, Amazing Grace Body Emulsion and Hope Oil-Free Sunscreen). All you need to do is spend $65 or more and enter promo code gift4me at checkout (while supplies last). Plus, if you spend $50 or more shipping is free! 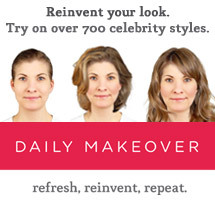 It's a win-win people!